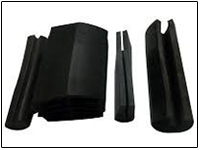 Rubber profiles are provided with nylon inserts for hassle free fitments . These profiles when fitted gives tight sealing to the screens and prevent metal to metal contact. We can also manufacture rubber profiles according to clients requirements and demands. 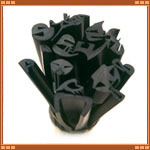 We are recognized as the prominent manufacturer, exporter and supplier of a wide collection of Rubber Beadings. Offered beadings are used to support glass in different industries where glass works are permanently in use. These beadings are designed and manufactured using latest methodologies in relevance to the set industry standards. Moreover, our quality inspectors cautiously examine these beadings on diverse quality parameters in order to ensure delivery of defect-free product at clients' end. We offer these Rubber Beadings in various shapes and sizes as per the exact requirements of the clients. We as an organization are engaged in manufacturing and supplying Rubber Beading meeting the specific requirements of our clients. The rubber beading is made from high quality rubber offering it perfect grip. These Beading are made from superior quality rubber to ensure long working life.